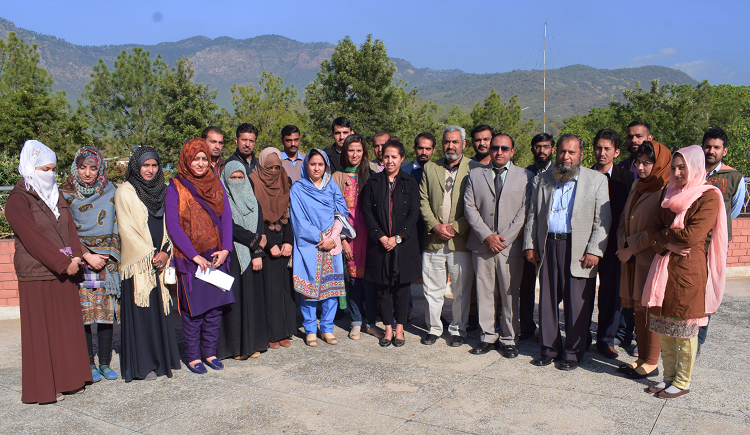 PASTIC IT section organised three days training workshop on the topic of ‘Research Tools & Techniques' from 20-22 December 2017 at PASTIC National Centre Islamabad. The objective of workshop was to build the capacity of young researchers to enhance their analytical skills in data analysis and data mining techniques through utilization of popular SPSS software tool. Twenty four (24) M. Phil & Ph.D research scholars participated in the training workshop. Mr. Saifullah Azim, Principal System Analyst (PASTIC) and organizer of the workshop deliver opening remarks and also introduce PASTIC services and new initiatives taken by the PASTIC for capacity building of researchers on modern tools and techniques focusing on the need of the time. At the end of the workshop Ms Nageen Ainuddin, DG PASTIC distributes the certificates to the participants.